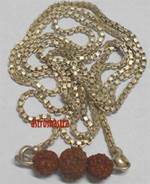 This rare and powerful Kanth sidh Mala is made by combining Rudraksh beads of 1 mukhi to 12 Mukhi and Gauri Shanker in centre. This Mala is made by high quality collector Beads . 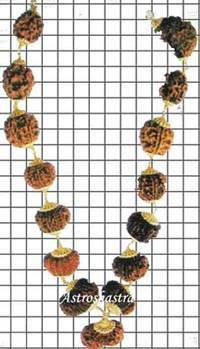 This high power mala provides wearer with NAVGRAH SHANTI, as all the rudraksh represent Navgrah. One mukhi and Twelve mukhi represent Planet SUN, Two Mukhi represent Planet MOON, Three Mukhi represent Planet Mars, Four mukhi represent Planet Mercury, Five Mukhi represent Planet Jupiter, Six Mukhi represent Planet Venus, Seven Mukhi represent Planet Saturn, Eight Mukhi represent Planet Rahu and Nine Mukhi represent Planet Ketu. 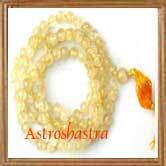 This mala is very effective for Navgrah shanti. 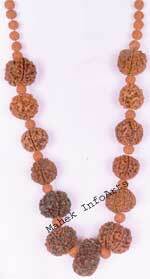 This Rudraksh mala appease all the malefic planets in the Horoscope. All the beads are highly energized and carefully selected, making powerful mala for a multi-disciplined approach. This energized mala has the power of beads from one Mukhi to Twelve Mukhi along with Gauri Shanker Rudraksh.